The popular photo sharing platform is upping it's game with the addition of a variety of upgrades including GIF integration, text-only stories, and more options on photo size. Here we look at how to most effectively capitalize on instagram's new features. After months of speculation and teasing, Instagram has now added GIF support to stories, along with many other new capabilities that will help make your social media presence stand out. Check out all of the new features, and how to use them, below! Thanks to the app’s new GIPHY integration, you can now search for GIFs of any kind to include in your Instagram stories. To access the GIF stickers, tap the ‘add’ option at the top of Stories and select ‘GIF.’ From there, search for any keyword you want, and add exciting, animated stickers to your stories! The options are endless, but just make sure not to go overboard. Finally, you can upload photos of any size to Stories, so you’ll no longer be forced to awkwardly crop them or use additional editing apps. Simply upload your photo and pinch it to minimize or maximize it. The border will turn into a color gradient that matches your photo, so everything will look uniform. Instagram will also be rolling out the same capabilities to video. 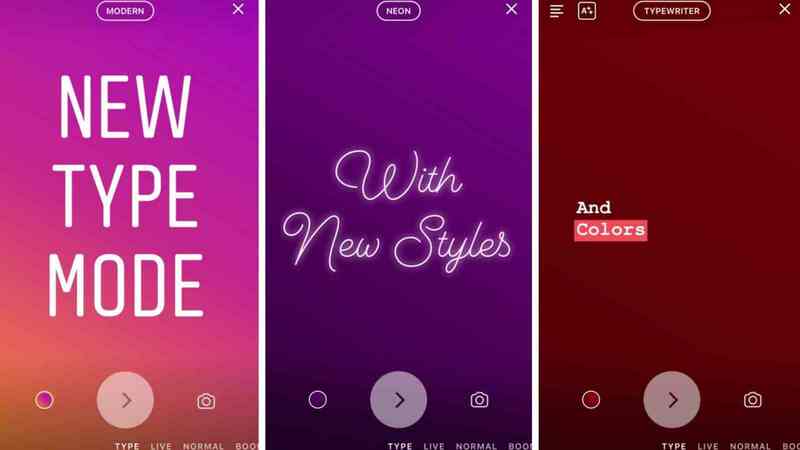 Instagram is switching things up with the addition of text-only stories and new font options. The brand new feature allows Instagram users to post text in Stories, without having to upload a photo or video. Once the Instagram Stories camera is opened, the Type mode will be visible alongside the Live mode, Boomerang mode and more. You can choose from an abundance of various new fonts, backgrounds and highlights. The brand new typefaces are also available on regular picture and video stories. To access all of Instagram’s new updates, make sure to download the latest version of the app from the Apple App Store or Google Play and get to posting!